Do I Need A Peferral? Have you seen your dentist lately? Did you talk about orthodontics? Most people don’t while having their regular checkup. There is great news though! You don’t need a referral at Reagin Orthodontics. While we do welcome our patients with referrals, we encourage anyone to call us. 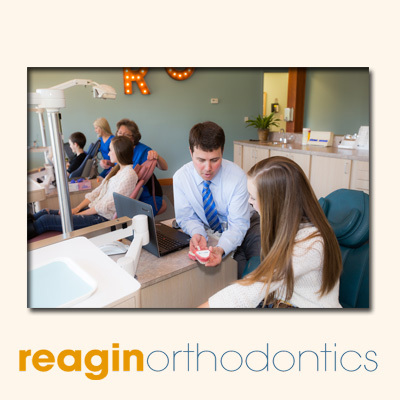 If you are curious or concerned about your oral health it’s important to set up an orthodontics consultation directly by calling Reagin Orthodontics (843-471-4411) today. Are you concerned about the price of orthodontic treatment? Don’t be! We offer many flexible payment options. Our in house financing options available and in all cases we will offer up the initial consultation for orthodontic treatment completely free of charge. This means that you can have all of your questions answered by Dr. Reagin at no risk to you and completely free of charge. To book a free consultation contact Reagin Orthodontics today.